Inspiration Reigns in Pamela Thidbodeaux’s Current Release! 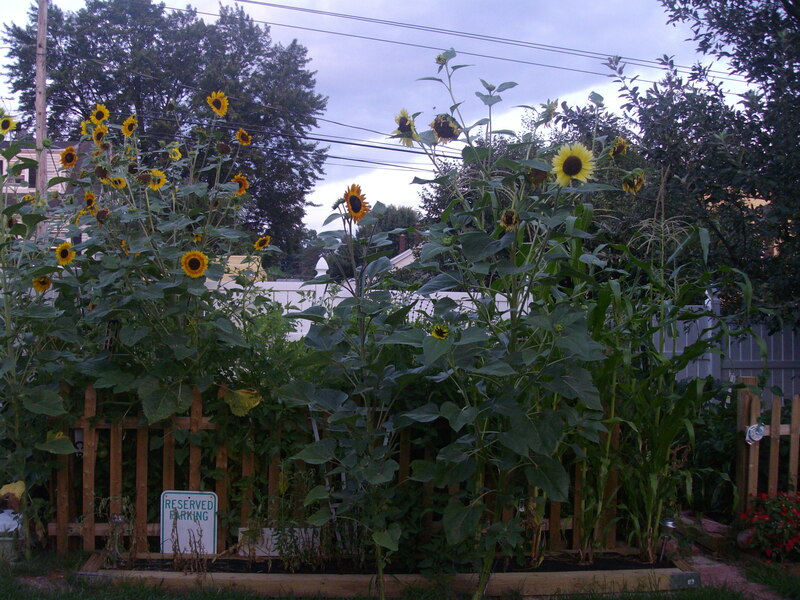 This wall of sunflowers was a fluke–since hubby added a walkway to his garden, somehow, the seeds from last year’s one or two plants got moved and oila! A perfect border to his garden. Imagine what might have happened had I tried, lol! Okay, friends: FOUR. MORE. DAYS. Then summer school closes its doors and hopefully, August is mine! Thanks again to all of you who made Karen Michelle Nutt’s visit a great one! And congrats to Cate Masters, who won Karen’s drawing and received an e-copy of Eli: Warrior of the Light for her lucky comment. Cate’s got four releases of her own this summer–my head would be absolutely apinning. Now there’s a bi-line to make me take notice! I love a great inspirational that delivers makes the message an integral part of the story. Tell me about your writing roots, Pamela: what got you started and what gave you the confidence to persevere? I began writing 28 years ago in 5-subject notebooks after reading one-too-many insipid little romances. Pregnant at the time, I’m not sure if that was a hormonal moment or if the book was really bad, LOL! But that was the impetus to begin. The positive feedback I received from family and friends who read my work encouraged me to persevere. How has your writing impacted other aspects of your life? (i.e., editing made me a much more focused speaker and sometimes, a less patient listener since I tend to automatically edit dialogue during a conversation–my own included, lol!) Since I write inspirational I must say writing has deepened my relationship with Christ and others by being more in-tune with the emotions that lie beneath the surface of any individual. Writing has also helped me focus on helping others – as a freelance editor, promotion specialist and co-founder of a writers group. Talk about current, past and future projects, upcoming releases, maybe your ‘dream novel’? I currently have five novels: Tempered Series (4-parts): ComStar Media, LLC & The Inheritance ~White Rose Publishing) and five short stories: Cathy’s Angel, Choices, A Hero for Jessica, Winter Madness & Review of Love ~ White Rose Publishing) but my newest release is my first romantic suspense – In His Sight also from White Rose Publishing…..
Excerpt: Grade school teacher Carson Alexander has a gift—a gift that has driven a wedge between him and his family. Worse, it’s put him at odds with God. Feeling alone and misunderstood,Carson views God’s gift of prophecy as the worst kind of curse…that is until he meets Lorelei Conner, landscape artist extraordinaire, and perhaps the one person who may need Carson and his gift more than anyone ever has. Lorelei Connor is a mother on the run. Her abusive ex-husband has followed her all over the country trying to steal their daughter. Distrusting of men and needing to keep on the move, she’s surprised by her desire to remain close to Carson Alexander. Through her fear and hesitation, she must learn to rely on God to guide her—not an easy task when He’s prompting her to trust a man. Can their relationship withstand the tragedy lurking on the horizon? Love A Hero for Jessica as a title—just something about it captures the romantic in me. Pretty sure I came across it’s lovely cover, too. Next, please tell our readers how you juggle work (other than writing, assuming you work ‘outside the home,’), time to write and all that goes along with it, especially as a published author (i.e., promo, etc). One moment at a time LOL! Seriously, juggle is a very appropriate term for what writers do; especially those who have job and family obligations (which is pretty much every writer!) ORGANIZATION is the key – I keep a weekly/monthly planner on my desk or in my laptop case at all times. When I schedule promotion for myself or a spotlight for another author on my blog, I jot this down. If I come across a writing opportunity, I printout the guidelines and carry it in my planner. When I’m writing, I focus on writing; when not actively writing or editing, I spend that time reading & reviewing books or promoting my work. I’m not overly goal-oriented, but I keep a ‘to do’ list going most of the time. Despite or maybe in spite of my writing/work schedule – I take time for God, myself and my family. Sounds like balance is key; for me, among the hardest things to establish and/or maintain on a daily basis. Please share the three ways you find most effective to promote your work! Wish I KNEW what was most effective, LOL! I’ve been doing this for a while now and I can’t really say what three things are MOST effective, but if I had to choose, I’d say…Network, Network, Network. Some will tell you that massive exposure (profiles at multiple sites) is the key – others say pick a few active sites (Face Book, Good Reads, Twitter) and work them consistently! Both answers are correct, but remember it takes time to build name/brand recognition. The key to promoting yourself and your work is consistency and that means doing something to promote yourself on a regular basis – some schedule 1 or 2 hours a day for promotion, others 1 or 2 days a week. Others look at promotion as a hit-and-miss deal and for the most part, it is, just don’t spread yourself too thin with this aspect of your career. I like this perspective on promotion, Pamela. It makes a lot of sense. (The daily and weekly timeframes you mention help me realize that this particular aspect of the business can—and maybe should—be more time-consuming than I like to admit.) Think the getting spread too thin part is what I find most challenging—makes me feel disorganized, too, and leaves me wondering where to start and how to allot the little time I tend to have in a normal weekday to attend to all this while juggling family, home, work, health and spirituality. Visit Pamela at her website, blog and other affiliated sites! Special thanks to everyone for all your support this week! Next week, look for more of Diane Lang’s tips and some easy summer recipes inspired by my hubby’s garden! ← Karen Michelle Nutt (finally!) Gets the Bloglight! Your interview was terific! I especially appreciate the avenue you’ve discovered to heighten your writer’s emotional awareness. Congratulations on all of your novels and here’s to success for your first romantic suspense! Always a pleasure to have you visit, Vikki–hope all is well and that you get a chance to enjoy our relatively cool weather this AM! Thanks for the interview Jo Ann and for stopping by Vickki. I’ll pick one lucky person from those who comment to win a pdf copy of In His Sight. Oh, one more thing…. TODAY ONLY! 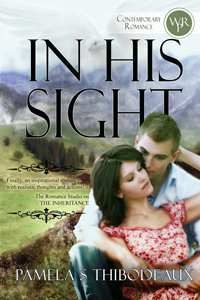 White Rose Publishing is giving a pdf of my novel THE INHERITANCE with EVERY purchase of In His Sight! Hurry and take advantage of this special! Happy release day Pam! Wishing you much success with In His Sight! Joanna, congrats on summer school being nearly over! Go you! Pamela, congrats on your new release. I love that your tag is Inspiration with an edge and your reviewers have labeled your work “grittier and steamier”…that’s awesome! Thanks, Debra! I’ll be counting down those days–first Friday I’ve had to myself (sort-of) in quite a while, maybe three weeks! Enjoy your weekend, too! Hey Pam, wonderful interview and congrats on the new release. It has been great getting to know you through blogs, your books, and Bandera. God bless…I’m starting In His Sight as soon as I can. You have a lovely book cover, too. Good luck with your new release. Sorry I was unable to get back here yesterday – the Internet service went down around here due to the weather and then I had to work – but here I am and I’d like to THANK YOU ALL for stopping by! The winner of a pdf of In His Sight is….. Karen Michelle Nutt! Congratulations, Karen! Good things come around! Thanks to all of you who left comments and best wishes to you, Pamela, as you continue on your writing and life journeys!